When the Car Seems Fine: Should you Keep Driving after an Accident? | B&L Automotive Repairs, Inc.
You are here: Home » Blog » Home » Uncategorized » When the Car Seems Fine: Should you Keep Driving after an Accident? When the Car Seems Fine: Should you Keep Driving after an Accident? Especially in winter, when the roads are slick and treacherous, it’s easy to get involved in a minor fender bender. Once you’ve exchanged information with the other driver, established that your vehicle looks ok, and checked yourself for signs of injury, it can be tempting just to drive away and try to forget it ever happened. The question is: should you? The law on this can be confusing. If there’s no personal injury or fatality, and the damage to the cars is minimal, it’s probably fine to just talk to the other driver without informing the police, as long as both drivers are insured. If one of you isn’t insured, you’ll need to report the accident. Similarly, if someone is injured, the police need to know. Perhaps a bigger question is whether your car is in good enough shape to continue driving. Before you even think about getting back on the road, you’ll need to give your car a thorough once-over. Make sure the headlights, turn signals, and brake lights are functioning properly, and that your license plates are securely attached. Check to see if your vehicle is leaking fluids, and make sure you have full control over your power steering. As long as you can still safely operate your vehicle, and there seem to be no major issues, it’s probably fine to get back on the road, from a legal standpoint. There are other issues you may encounter after an accident. Your engine may seem to be smoking, which could have you, understandably, concerned. It might be smoke, or it might be steam, but if your engine is releasing either of these it’s not a good idea to drive. Even if your car can start on its own and the gauges on your dash board don’t indicate an issue like overheating, it’s best to wait for a tow. Unless you’re a mechanic, you probably will not know which engine system is producing the steam or smoke, and if you try to drive home it could impede your vision. What’s more, you may be causing further damage by driving the car when there’s an issue. Go ahead and call for help, and wait for assistance. You should also all for assistance if the accident causes a flat tire. It’s important not to drive on a flat, even if you’re only going a short distance. Driving on a flat tire can damage the tire beyond repair, but it can also bend the rim or even damage your vehicle. Components like brake lines, rotors, fenders, and suspension parts are likely to become seriously damaged and that can get expensive. Driving on a flat tire can also cause you to lose control of your vehicle, which can be dangerous for you and others on the road. Sometimes, there may be serious damage that is not visible to your eye. 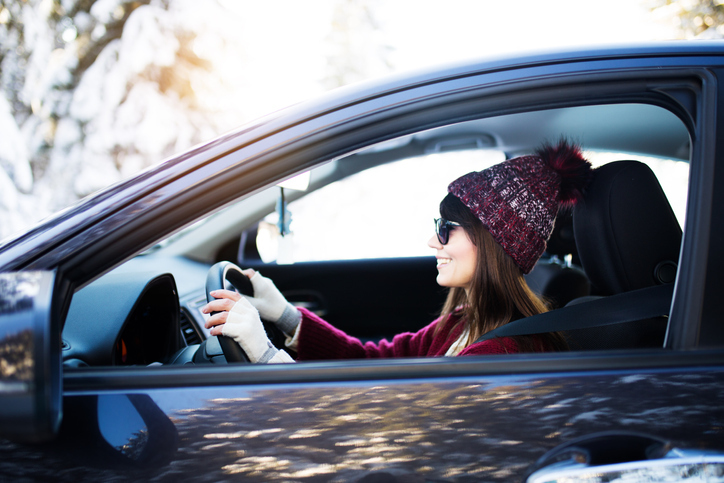 A small chip on the windshield may not be visible except in certain lights, or you might find it difficult to shut the door properly because of slight buckling in the bodywork. If you don’t discover damage that’s been done to the car, it can cause more extensive damage that can become costly. Further, if you don’t find the damage before filing your insurance claim, you won’t get the money you need to cover repairs. You should have a professional inspect your vehicle thoroughly after an accident, but first, there are some easy ways to check for damage. Check the frame and suspension. Whether or not you notice damage to your vehicle, it’s smart to bring it to someone who knows how to repair a car after a collision.